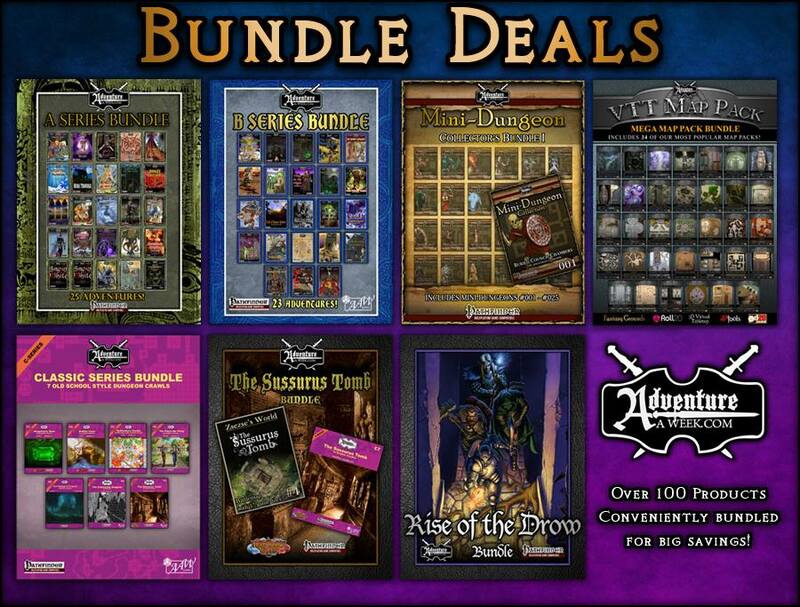 I've just completed the product designs for several Bundle Deals for AAW Games products on DriveThruRPG.com and compiled this social media add to get the word out. 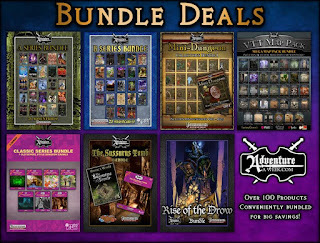 There are seven new bundle deals which include: A-Series for Pathfinder RPG (25 adventure modules), B-Series for Pathfinder RPG (23 adventure modules), Mini-Dungeon Collection for Pathfinder RPG (25 mini-dungeons), VTT Map Pack (33 map packs/over high-quality maps), Classic C-Series for Pathfinder RPG (7 classic dungeon crawls), The Sussurus Tomb for Pathfinder RPG (adventure and maps from Lord Zsezse Works), and Rise of the Drow for Pathfinder RPG (the complete RotD series from Adventureaweek.com). Additionally, Print versions are available with the Mini-Dungeon Collection PFRPG Print Bundle and The Sussurus Tomb PFRPG Print Bundle.